In the Seattle area where I currently reside, natural medicine is quite accessible to the general public. Even though Seattle almost has as many NDs as there are coffee shops, one does not need to see a naturopathic doctor to purchase herbal medicine. You can go to the grocery store to buy herbal tinctures, teas, and supplements. Now, most of what is in the grocery store does not meet my quality standards. But not all of it is bad. I buy Traditional Medicinals tea at the grocery store, and I think that stuff is great. Whole Foods carries a lot of great supplement brands as well. Other areas of the country are not so lucky. Take Skookville, for example. 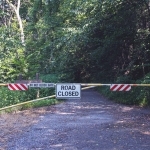 Skookville is one of the many nicknames for Schuylkill County, a small coal-mining region of Pennsylvania where I grew up. In Skookville, treating a cold naturally is not as easy as it is in Seattle. You can not find a box of Traditional Medicinals Echinacea Plus tea at the local grocery store. Nor can you see a naturopathic doctor who can prescribe you some licorice root solid extract from an in-office dispensary. And Whole Foods? Don’t even ask. You can find those things in the Skook. You can get them at any local grocery store. You probably won’t find manuka honey, but that’s OK. Regular honey by itself is an effective, natural cough treatment. If you can find the ingredients to make this natural cough syrup in the Skook, you can find them anywhere. Which means that you can make your own cough medicine in your kitchen, anywhere in the world. 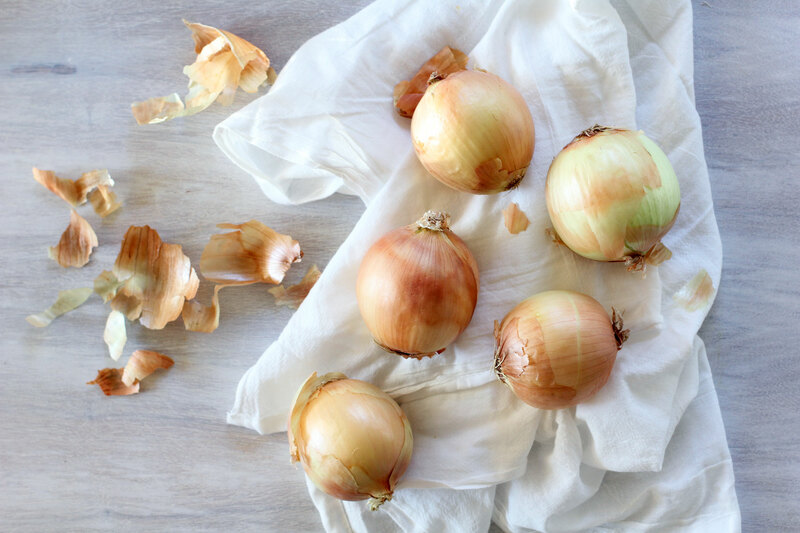 Onions are antimicrobial, anti-inflammatory, and immune stimulating. But the story doesn’t end there. When it comes to plant based actions, there is always a strength based gradient to them. Even though onions have immune stimulating properties, that doesn’t mean that they are as immune stimulating as Echinacea angustifolia. Every herb has a different strength associated with it’s medicinal action. Some are potent, some are weak. Onion is a mild antimicrobial agent, while other herbs are strong antimicrobial agents. However, even though onion has a mild immune stimulating ability and a mild antimicrobial ability, that doesn’t mean it’s worthless or that it doesn’t work. Using honey to treat a cough in children may work just as well as dextromethorphan.1 Dextromethorphan is a cough suppressant found in many over the counter cold and cough medicines like Dimetapp, NyQuil, and Robitussin. This is amazing news, really. 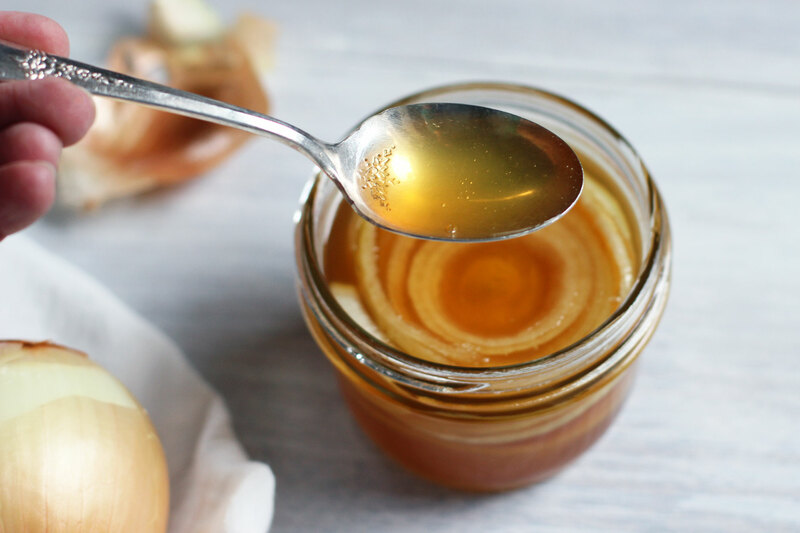 Why even use the NyQuil when honey works just as well for your cough? In the U.S., kids under 4 years of age can not have over the counter cold and cough medicine. Some recommend to avoid OTC cold and cough medicine until the age of 6. But if the child is over 12 months of age, honey is an effective natural remedy for the treatment of coughs in children. While you can definitely use regular honey to make your DIY Onion Cough Syrup, I like to jazz mine up with manuka honey. Manuka honey is like regular honey on steroids. It has all the benefits that regular honey has, but to a much much stronger degree. Many different bacterial species are susceptible to therapeutic grade manuka honey. Manuka honey is anti-inflammatory and helps to heal damaged tissue. It’s also a biofilm buster, so I’m super curious about how it could benefit chronic gut infections when taken internally. There’s so much more I could say about manuka honey and it’s therapeutic grading system, but let’s save that for another day. 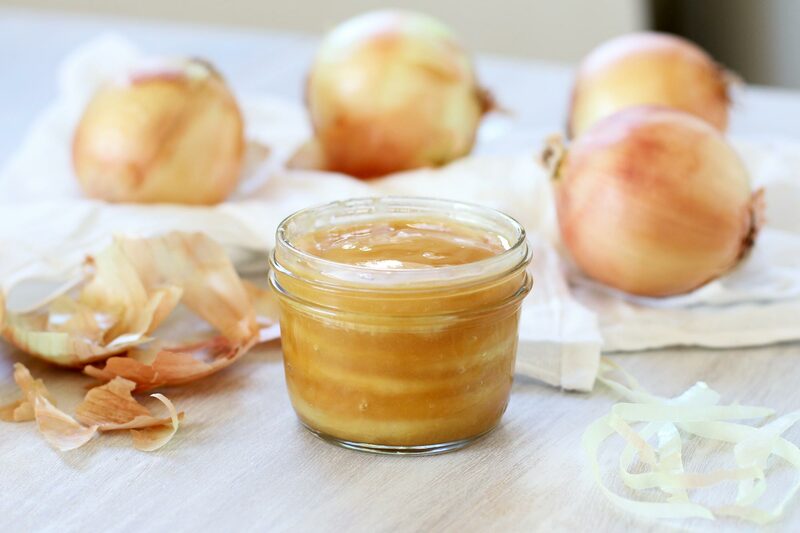 To make this homemade onion cough syrup, layer honey and fresh cut onion slices in a jar. Make sure the onion slices are fully covered in honey. Then seal the jar tightly, and let it sit at room temperature for 1 to 2 days. If you are really wanting to use it sooner, you can start using it within 12 hours. Once you open up the jar, store it in the refrigerator. Yes, you read that right. You just let it sit out on the counter. YOU DO NOT COOK IT. 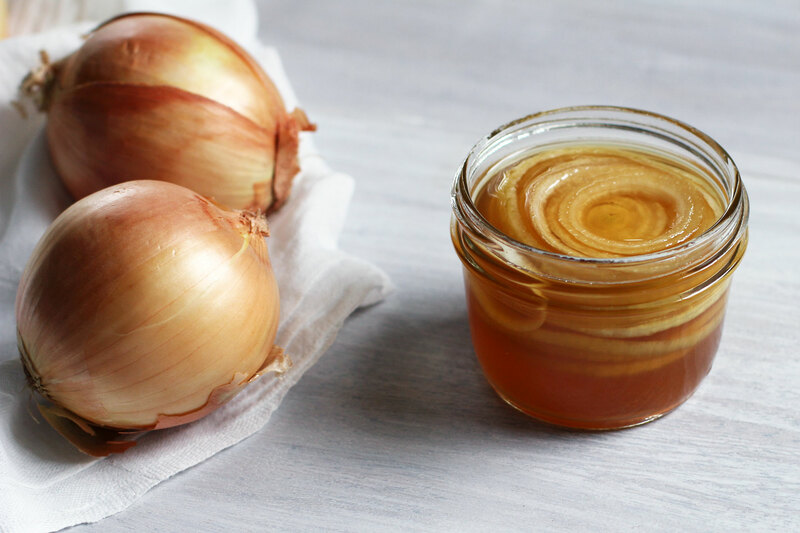 If you cook homemade honey onion cough syrup, you’ll ruin the constituents in the onion that provide their antimicrobial properties. 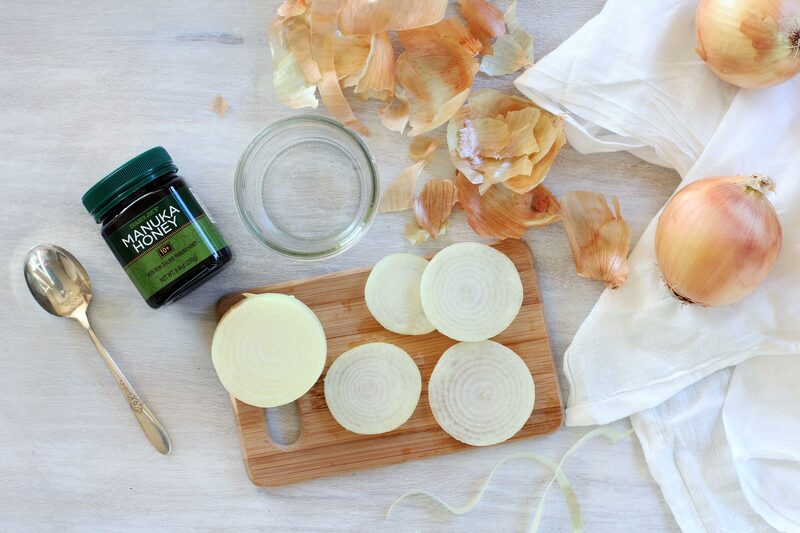 In this DIY Onion Cough Syrup, the honey acts as a solvent. Liquid from the onion diffuses from the onion and into the honey, and that is what makes the “syrup”. When the syrup is done, you will notice the thinner consistency of the honey. Because the ingredients for this DIY Onion Cough Syrup are food based, it is a very safe remedy to give to kids over 12 months of age. It is not safe for kids under 1 year of age because of the honey. The only other possible concerns with using onion therapeutically would be it’s mild anti-platelet effect and/or if one has an allergy to allium family plants. If you have a clotting disorder or are on a blood thinner, consult with your physician before using DIY Onion Cough Syrup therapeutically. Although this is a cough syrup, it can be used for colds too. Adults can take one teaspoon three to four times a day during a cold or cough. Kids over one year of age can take one to three teaspoons a day for a cold or a cough. 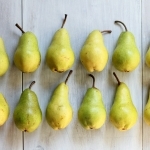 A spoonful can be taken on a daily basis as a preventative measure during the winter months. If you think using onion cough syrup is strange, I’m actually wanting to start putting this stuff on my face. 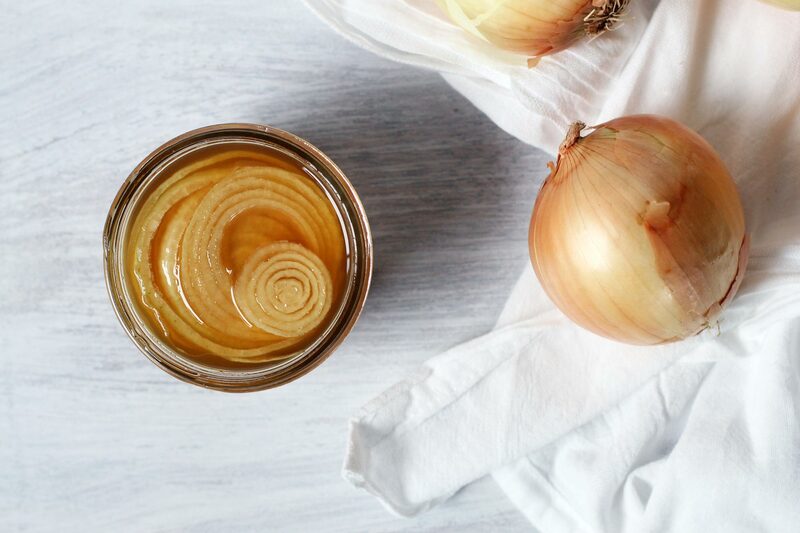 There’s some research that shows that topical onion extract may improve the cosmetic appearance of scars. Onion facial anyone!? Place a spoonful of honey in the bottom of the glass jar. Place an onion slice on top of the honey. Add honey on top of the onion slice. 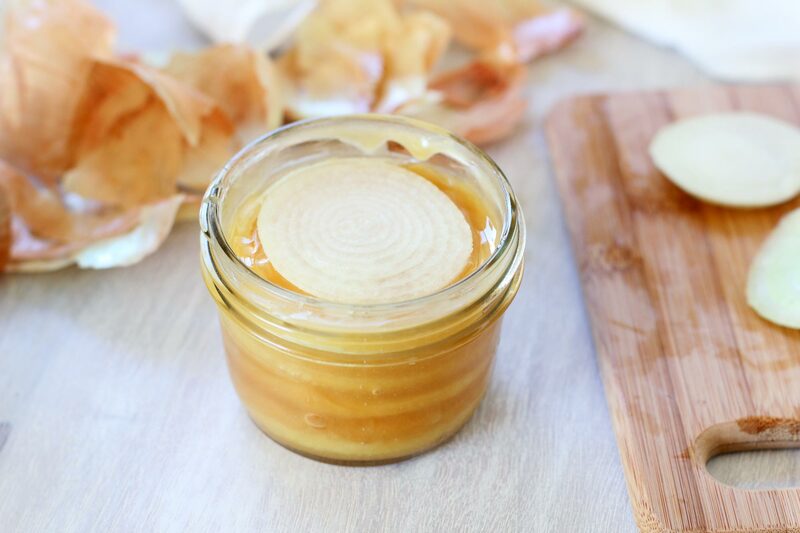 Continue to layer: honey, onion, honey onion, until the jar is full and the onion is fully covered in honey. Seal jar with a lid. Let the jar sit at room temperature for 24 to 48 hours. You can strain out the onions once the syrup is done, but it is not necessary. Oduwole O, Meremikwu MM, Oyo=Ita A, et al. Honey for actue cough in Children. Cochrane Database Syst Rev. 2014 Dec 23;(12). The Gluten Free Eating Husband? Emily has been sick with a cold and a cough and I made some of this for her. Thank you for a great healing recipe. Thank you for this recipe! Im curious, how long can it say in the refrigerator? 2 weeks in the fridge is probably the maximum amount of time I would allow for it to stay in the fridge. Maybe less if you didn’t strain out the onions.